If you follow many Professional boxers online you’ll no doubt see countless training videos where the boxer is using a beautifully designed custom pair of boxing gloves, complete with their name or logo. It’s pretty easy to see the appeal – you can make a pair of gloves which reflects your own unique personality and train with something truly unique to you. Obviously when you’re paying for bespoke boxing gloves you’ll often be paying a slightly higher price than ‘stock’ models of the same quality, so if you’re a beginner then you’ll get better bang for your buck by sticking to regular pairs. That said, if you’re really into your training or simply don’t mind paying that bit extra for something uniquely designed, then custom made boxing gloves can really take your equipment collection to the next level. In no particular order, here are 10 of our favourite brands who offer custom made boxing gloves. 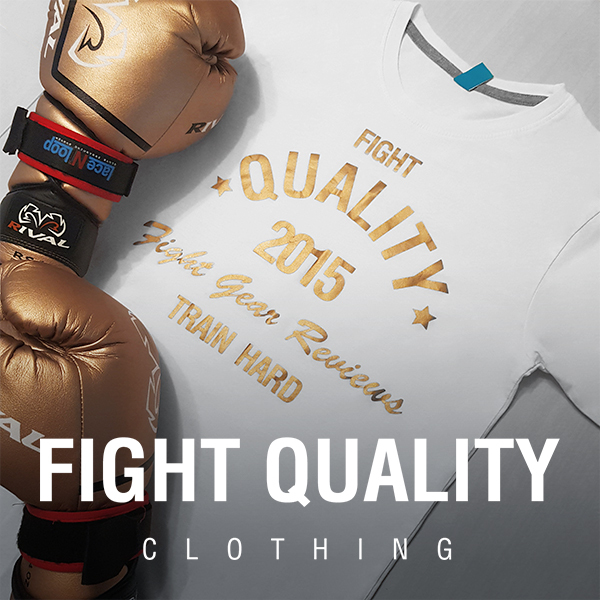 Please note: The team at Fight Quality can not make any promises regarding the quality of the brands on this list. While the article is great for inspiration, we suggest you always do your research and check out reviews before purchasing. Sabas is a USA based brand selling Mexican style gloves with a strong emphasis on style, while still being well praised for their comfort, padding and price. With SABAS you can choose from a variety of colours (including velcro), the glove model, velcro or laces, embroidered names and even logos. We’ve used iBox Customise’s gloves and can personally say that they deserve a place on this list. What sets iBox apart from many other brands is that as well as contacting them directly, you can also customise your own gloves with their interactive online gear customiser and get an instant visual representation of how your equipment will look. As well as different leather choices (Including unique animal skin textures) you can also choose from different padding types to change the protection and feel of the gloves. TopBoxer, is a small Pakistan company who primarily produce custom boxing equipment. Unlike many Pakistan brands, TopBoxer have really stood out in terms of quality, and the the brand have developed a loyal following for their equipment. Many of TopBoxer’s gloves use metallic leathers for a premium feel, however in our opinion their custom logo embroidery is second-to none, even pulling off some more complex designs which other brands avoid. Grant are one of the ‘Big 3’ alongside Winning and Cleto Reyes in terms of established professional boxing gloves, with plenty of fighters using them as their go-to brand for competition gloves. Grant’s Boutique service isn’t cheap, however they’re one of the most established and trusted on the list. Winning sit alongside Grant as one of the ‘Big 3’ in professional boxing, however Winning have a much better reputation as training gloves, with their softer, more protective padding having earned them a reputation as one of the more protective brands of boxing gloves. Winning’s customisation is a little more limited than most of the brands on this list, focusing more on colours and printed visual, usually in the form of a name printed underneath the Winning logo, however they have been known to produce slightly more unique gloves occasionally. Custom Winning gloves can be difficult to get hold of, and there’s often a long waiting period involved. These days Rival are just as popular as Winning, Grant and Cleto Reyes, however when Rival do custom gloves they do it properly. Rival can give you good control over the visuals of the gloves, changing the colours of leather and logos, however if you’re looking for something even more bespoke then they have a brilliant history of absolutely stunning fully printed designs. If you have more of a ‘concept’ in mind rather than just colours and a logo, then Rival may be the best way to truly bring it to life. AMMO Boxing are a lesser known UK brand delivering a premium quality glove at a lower price. We’ve tested some of their stock gloves, but they’ve also produced some brilliant custom designs. In our opinions AMMO are best if you’re looking for a softer padded glove, and they specialise in producing clean, sharp visuals. Adidas are a well known sports brand, but not as popular in the boxing world. Something a lot of people don’t know however is that Adidas have a brilliant boxing glove customiser, allowing you to choose your options and see a live photographic visualisation as you order. The Adidas gloves seem a great choice if you’re looking for metallic colours, and have the option to include your own name or text printed under the logo. Unique luxury are a newer brand based in Azerbaijan who have dedicated themselves to producing custom boxing equipment. There may be a little bit of a waiting period, but their recent equipment looks classy with some great colours to choose from and the option of embroidered text. Beast Coast Unlimited are another brand you may not have heard of, but who have a great offering of custom equipment. Beast Coast, who are based in the USA, have produced an array of great designs, with some powerful colours, and can also incude your own text or logo as well. More importantly though, they can create custom shin guards as well, meaning that if you’re into your Muay Thai, Kickboxing or MMA you can also get a great custom kit.